The weatherproof Kettler outdoor table tennis table Sketch & Pong is equipped with a multi-layer Alu-Tec composite panel. The sturdy and high-quality workmanship provides a long durability, sketching with chalk on the playing surface makes a lot of fun. The new Kettler outdoor table tennis table Sketch & Pong of stylish SketchPong look is the ideal outdoor table tennis table for the whole family and leisure players, who use their own rules. 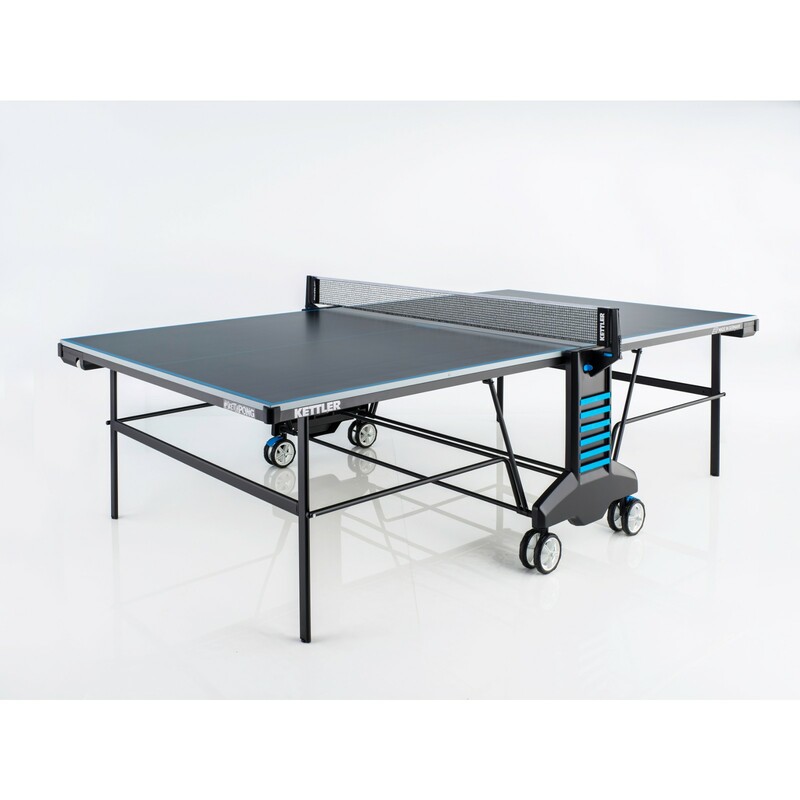 The outdoor table tennis table offers great playing features. Furthermore, you can allow full bent to your creativity with the Sketch & Pong. Draw with chalk on the playing surface made of board paint. You can write down scores or leave marks for the opponent or decorate the table tennis table with nice patterns. Below the black playing surface of the Sketch & Pong, there is a multi-layer aluminum composite board with a thickness of 22 mm. The elegant, black playing surface gives a comfortable ball return feature and is absolutely weatherproof. Safety and stability are offered by the sturdy frame with a profile frame thickness of 55 mm. The mobile Kettler outdoor table tennis table Sketch & Pong has 4 transport wheels, including safety brake for highest mobility and stability. The dimensions correspond to the international tournament dimensions. The provided net is fixed mounted. Kettler gives a 5 years manufacturer's warranty on the Alu-Tec+ composite board to emphasize the very good quality of the Sketch & Pong. The new marking possibilities on the playing surface and the approved strong Kettler quality provide a lot of fun to play for children and adults. 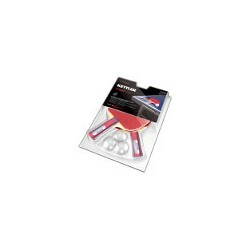 Kettler outdoor table tennis table Sketch & Pong add to comparison list.